MechWarrior 3: Pirate’s Moon is the only expansion pack for MechWarrior 3, with an all new storyline and 20 new missions, plus six new mechs, brand new terrains, and a number of weapons. The player can select either Campaign Missions or Pirate Missions which contain respective stories. 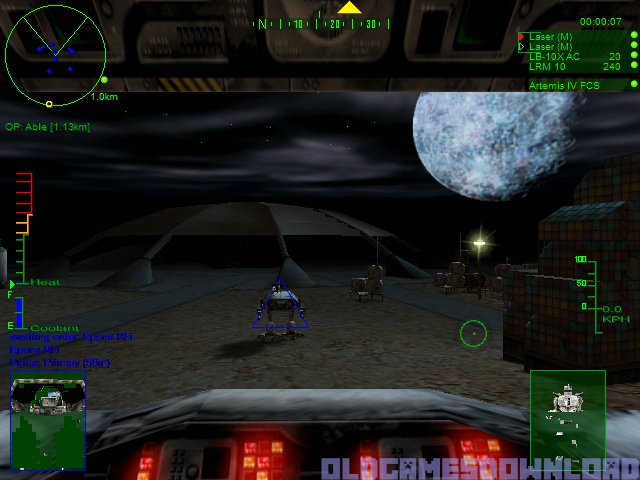 Inside the downloaded .rar file, extract the “MechWarrior 3 Pirate’s Moon” folder to your desktop. You will need a software such as WinRAR to do this. Open the folder called “Game Files” and in there, you want to double click on the “setup.exe” file. The game setup should launch – you can leave everything at the default and finish installing the game. To launch the game, all you want to do is double click on MechWarrior 3 dekstop shortcut and your game should now launch!